In Part 1 of my audio interview with intuitive, visionary timeline reader and author, E.M. Nicolay, we learned about the deals going on behind the scenes of the recent conflict escalation between the U.S., Russia and Syria, from a universal timeline perspective. Now, in Part 2 (below), Nicolay reveals what the timeline shows for the U.S., China and North Korea. Nicolay explains the secret terms of the deal made between Chinese President Xi and U.S. President Donald Trump over that “beautiful” slice of chocolate cake at Mar a Lago. By electing a businessman, who prides himself on “the art of the deal,” it appears the American people got a president who is willing to make some questionable horse-trading deals for a quick fix. The China deal Nicolay spells out is intended to make Trump look like a master deal maker in the short run (silencing some of his critics), but will ultimately, in the end, put the final nail in the coffin for the U.S. while elevating China to a greater Eurasian power. Sadly, the timeline shows Trump’s two-term historical legacy will not be a good one. His karmic destiny is fraught with missteps. Nicolay also reveals that the timeline shows a major “man-made” earthquake event in California in 2024 affecting the New Madrid Fault and areas linked to it. This will be an intentional act, using weather weaponry, to stop the States from taking back their individual governing rights, but it will be unsuccessful. By that time, the people will have lost all faith in their federal government and its bankrupting wars which we don’t ever win. Nicolay also touches on event predictions in Europe that show up on the timeline. Europe will go through some challenging times as well. 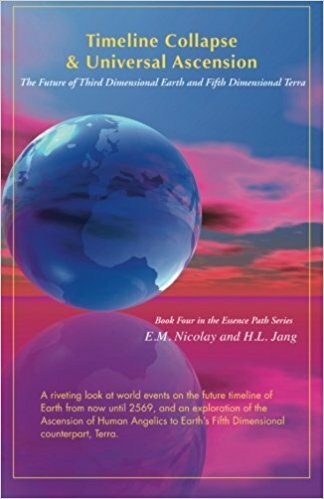 Yet, Nicolay reminds us that all these events between now and 2025 are being orchestrated from an evolutionary consciousness level. Hearing the details and understanding the reasons why these events will happen from a soul level, may actually help one let go of fear and side-step the drama to come. It will be a lesson for all of us in raising our consciousness and listening to our Higher Self to lead us on the right path.